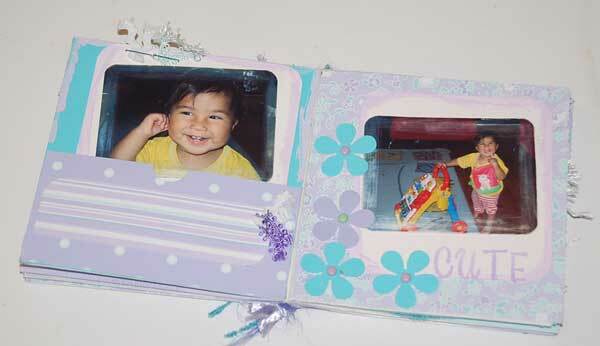 Yet another baby scrapbook album. We can never get enough of these little beauties. Our kids make the best subjects to scrap about. This time it is a very simple book made with small white paper bags and a few simple scrapbooking embellishments like fibres, rubons, paint and some stamps. 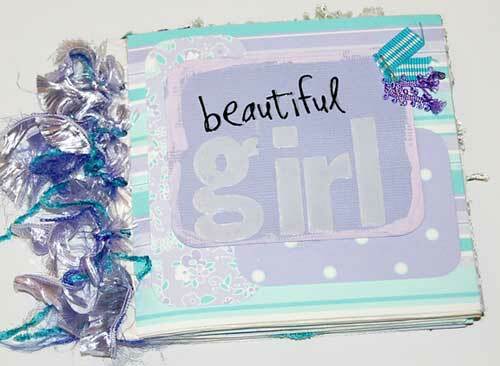 The papers used are from Making Memories along with some fantastic bazzill cardstock in shades of purples and blues. 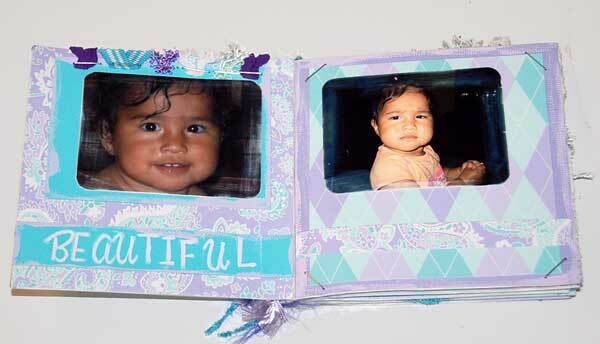 Kelly has taken a small selection of photos of her daughter from when she was a baby and scrapped them into this petite little 4x4 paper bag mini album titled "Beautiful girl" as you can see in the cover here. There are no tags or extra pockets with hidden keepsakes. This is a very basic mini album brag book filled with photos. White paint has been applied to the edges of the backing cardstock, photo mats and title blocks. This adds a bit of dimension to the finished product. No fancy tools required to do this, just dip your finger in the paint and apply to the edges. The stamps used are from Hero Arts - they have a great range of alphabet stamps which are great for scrapbooking and card making. Fibres and ribbon have been attached to the top of the page with staples to add interest to the page. Beautiful. Christina from Card-making-magic has a great little tutorial to make a simple memory book with patterned paper and envelopes. They make the cutest gifts for a new baby. 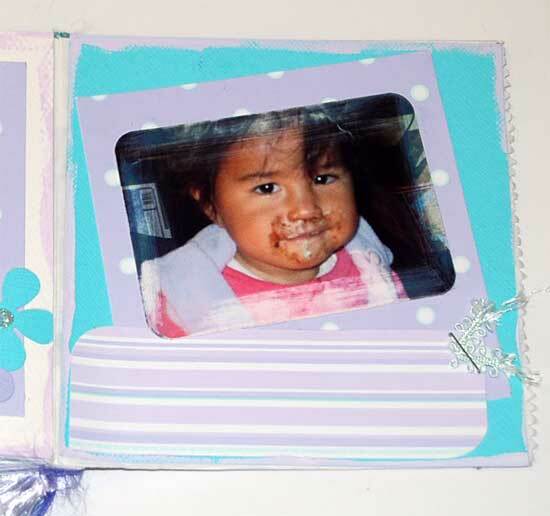 You can also find lots of card making ideas.